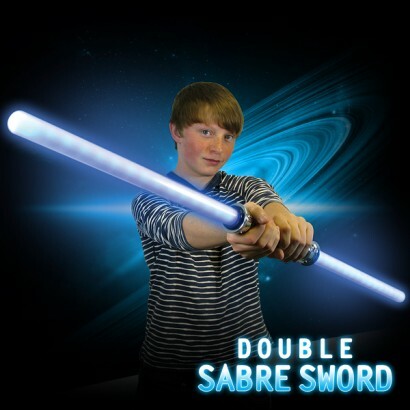 Fantastic NEW Double Sabre Sword! 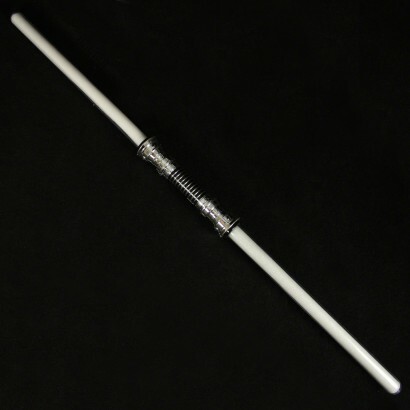 This product has two long illuminated and animated beams of light - the beams extend and retract as you turn on/off also with motion activated sounds! 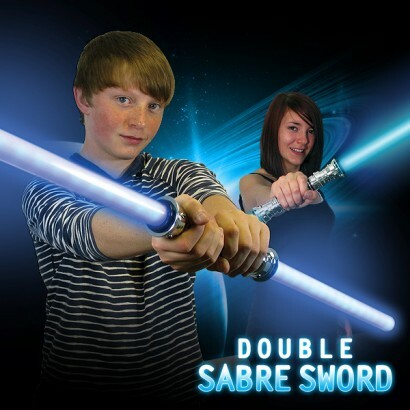 Very impressive these double light sabre swords are huge - nearly 1 metre in length!